"Not only is the red flower impressive, but the red stem and maculated foliage contrast the flower perfectly for an amazing plant." Orange-red flowers above heart-shaped foliage with white spots, good for cuts or large containers, 10-12 weeks to flower. For 8-10" containers. 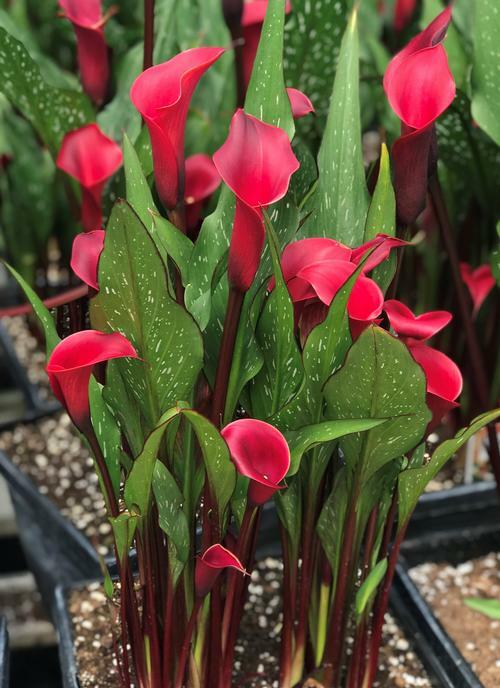 Spectacular blood-red funnel flowers above dark green foliage with white spots and red margins, good for cut flowers and large containers, 8-10 weeks to flower.